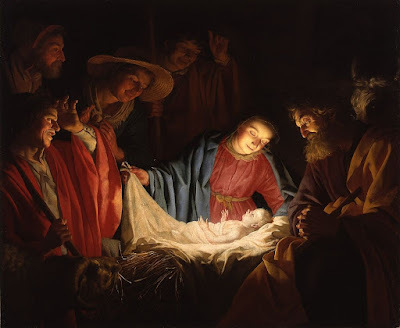 Since the season of Christmas continues until either the Epiphany on January 6th or the Baptism of Christ on January 10, or even Candlemas on February 2, it seems appropriate to post about Christmas and its meaning, even its secular, philosophical meaning. Dwight Longenecker over at Patheos helpfully provided some reasons why atheists might celebrate Christmas. Allow me to provide a few more. While there are obvious, one might say “cultural” reasons why someone who doesn’t believe in God might still celebrate Christmas — family tradition, inertia with their childhood, a level of comfort with the celebration, even just a way to make sure their kids aren’t left out of the present-fest — But beyond these there are some ways it makes sense to celebrate Christmas from a secular humanist perspective, as contradictory as it sounds. The first reason for this is the radical reinterpretation of divinity provided by the Incarnation. This may not seem like a big cause for celebration for those who deny divinity, but this shift, where the inaccessible divinity becomes very accessible, even quaint, in the form of a small human child, changes everything. Even the very heterodox G.W.F. Hegel views the incarnation as a seminal moment in human development. The Incarnation is the point where the Universal meets the particular, where the innate potential of humanity can finally be revealed. Hegel saw it as the inflexion point, from which an unfree society evolved into a free one under the influence of this theology. Surely there’s something here for the secular humanist to love? Indeed, humanists like Erasmus and Thomas More looked to their Christianity, and the Incarnational example of the divine encounter with man, in order to support their high view of humanity. A high view of humanity without God eventually broke away from this high humanism with God. A bit of deference may be due to the Incarnation for broadening the horizons of humanity in this regard. 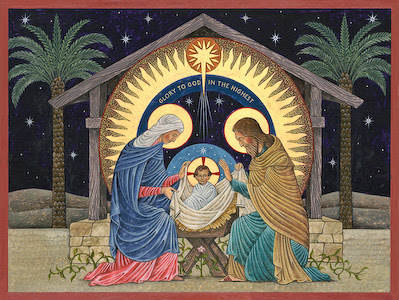 Of course, one could say “why celebrate Christmas, if I believe it a myth?” If you don’t believe in God, why celebrate him? The odd thing is that many ancient thinkers, such as Epicurus and many Stoics, despite not believing in the myths or the power of the gods over them, still believed in participating in public worship and rituals. Man did not trifle with the gods, even if you doubted their existence or efficacy. Now of course, “atheist” means something slightly different than what it meant in the late Roman Empire. But Christians insisted that the truth mattered in religious and festive life. The modern notion of atheist, standing outside religious tradition, and proclaiming the non-existence of God to be the truth owes much to this stance. None of this may be enough to be convincing for some. In fact, for many, atheism is a moral stance. Christianity proclaims universal love but often the love of actual Christians for the poor, for women, for LGBT people, for the foreigner is not really there. Denouncing Christianity is seen as a path to true universal love, as a way to finally fulfill the broken promises of Christianity. But perhaps they can celebrate that the promises were made in the first place? Nietzsche despises what he sees as the exaltation of weakness in Christianity, but even he recognizes that there is true development there, and that the future will have to build on it, not simply return to the old morality. Perhaps other atheists would do the same. 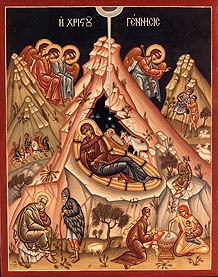 Nothing, of course, beats celebrating the great feast in its fullness. Merry Christmas everyone!